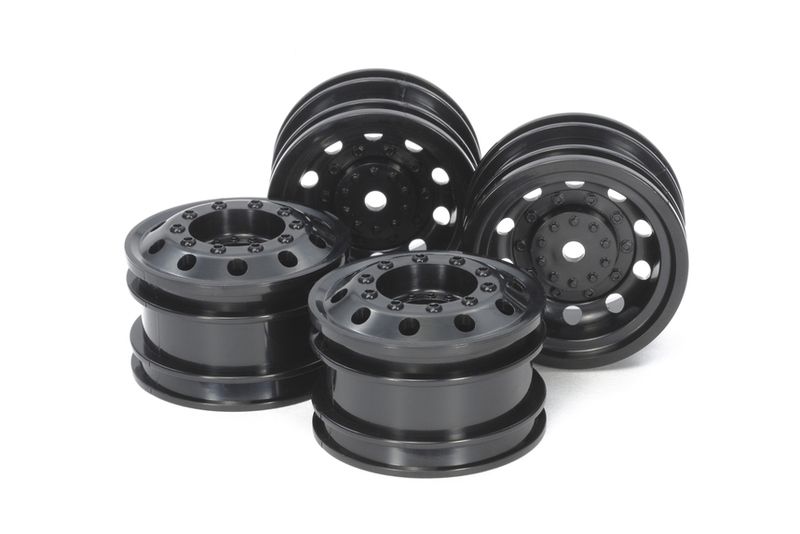 These are dedicated racing truck wheels designed to fit the TT-01 E chassis machine outfitted with the Team Hahn Racing MAN TGS semi-truck. 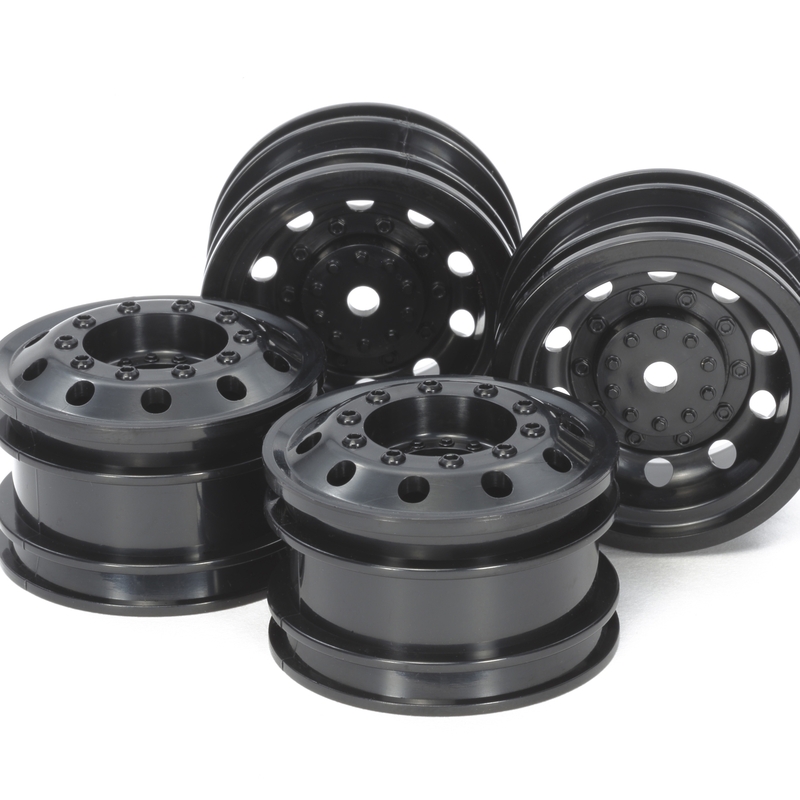 This particular set is a variant of the stock wheels found on the MAN TGS kit as it’s molded in black. •	Compatible with TT-01E and TT-02 chassis machines. •	Use with on road racing truck tires (Item 51589).